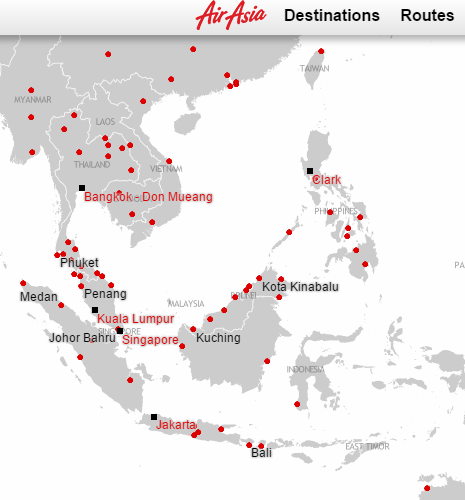 Inline with its commitment to promote regional tourism, Budget Airline AirAsia unveiled its plan few days ago to offer "ASEAN PASS", a multiple flight package to ASEAN destinations this 2015. The "AirAsia ASEAN PASS" will give you a 10-flight pass to 10 Southeast Asia destinations at a rate less than P7000 (excluding airport taxes). AirAsia Group CEO Tony Fernandes said that the ASEAN PASS targets the people who live in the 10 Asean Countries and to encourage more tourism in the region which will also pave way for international guests to come and enjoy Southeast Asia. The AirAsia Asean Pass will go on sale on January 15, 2015. Travelers availing this 10-flight pass can visit 10 destinations where Air Asia flies following the no repeat rule in a 1 month time frame. A 20-flight pass is also being finalized and complete details of both packages will be announced in the next few weeks. So what are you waiting for? Mark your calendar now, file a leave and start saving! I'll make sure you get the most recent update about the ASEAN PASS soon! Imagine traveling to 10 destinations for a month for less than $150, that's like availing the JetBlue's popular All-You-Can-Jet and Azul's all-Brazil Pasaporte.